This stylish piece is bound to give even the simplest ensemble a unique, bohemian touch. 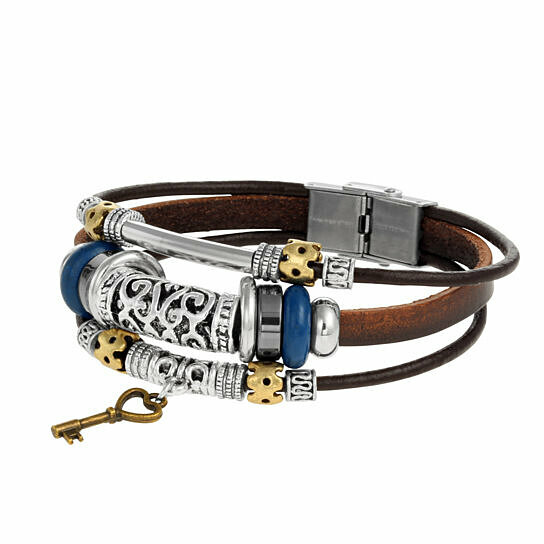 Made of genuine leather and featuring a stainless steel buckle clasp, this authentic Tera Jewelry bracelet stands out from the crowd! 8.5 inches total length.